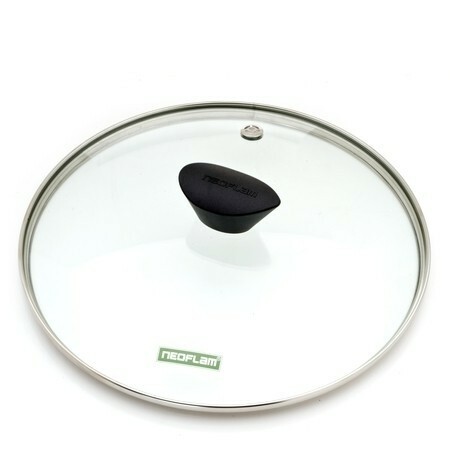 Order a glass lid to fit your Neoflam pan and add even more versatility to your cooking. 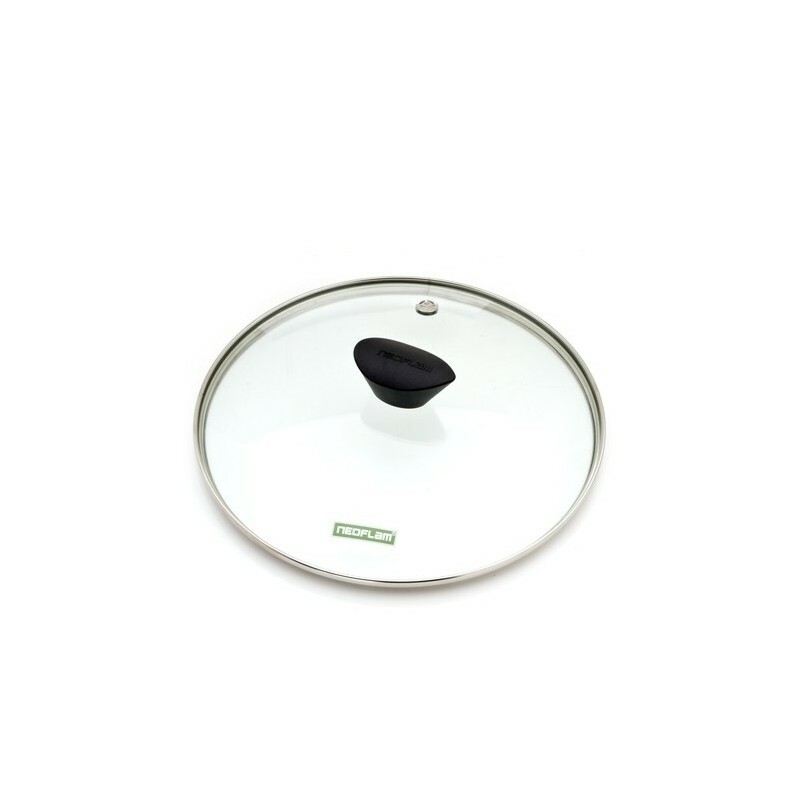 Stainless steel outer rim, Bakelite handle with stainless steel washer and screw. Silicone seal on the bottom of the handle when connected to the glass lid.